Think of it as a sim and you’re doomed. 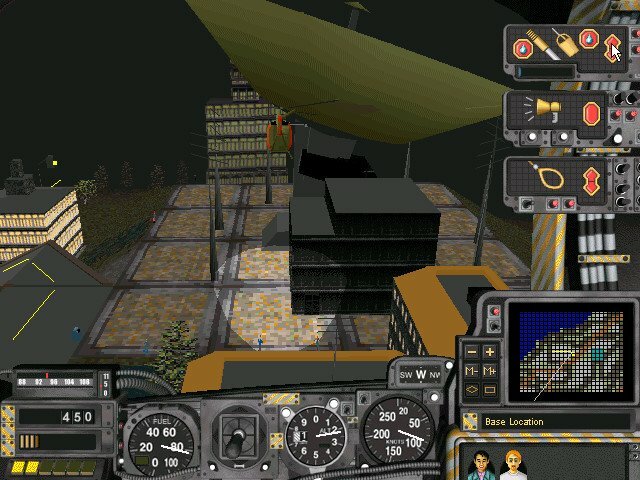 The nice folks at Maxis looked eager to explore every unconventional avenue of gaming there was, and SimCopter definitely ranks as one of their strangest projects. 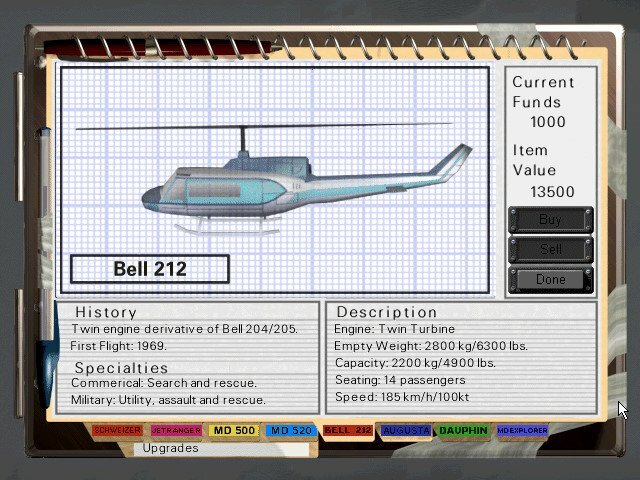 Here you take to the skies of SimCity with a chopper and tend to its many wants and needs – you can play rescuer and scoop stranded sims out of danger, extinguish fires with water buckets, disperse rioters, clear traffic jams or just transport rich sims to their cocktail parties for the highest bidder. 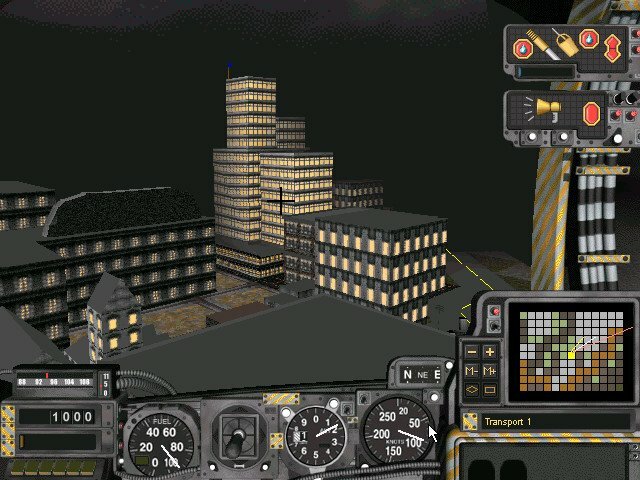 SimCopter gives you the tools to put up or shut up. 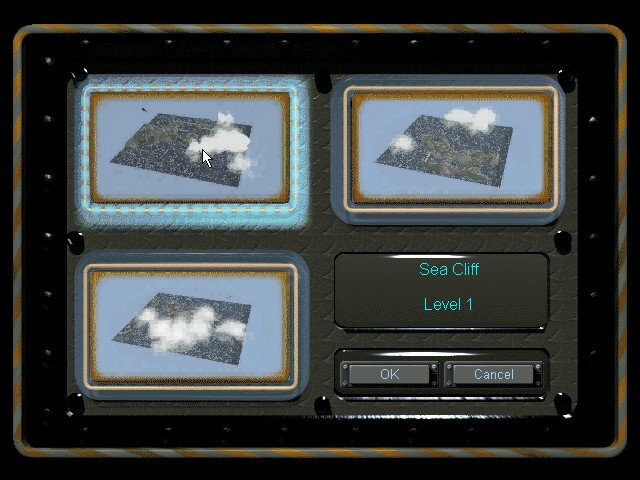 The game comes with pre-built cities to fly through, or you can choose to play in your own metropolis exported from SimCity 2000. Every street corner, building, bridge and skyscraper is painstakingly rendered in 3D. These have the benefit of providing vast playing areas, but are kind of skimpy on the details with the game’s flat graphics and foggy draw distances, be it day or night. 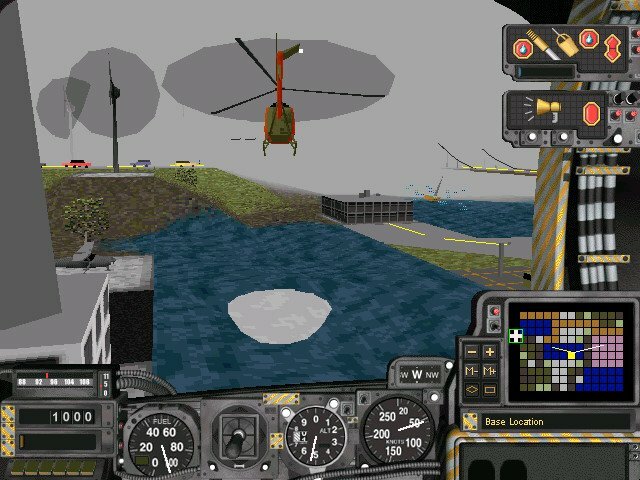 You embark on a career where you swoop through the SimCity skies in one of eight helicopters, carrying out various jobs for cash. 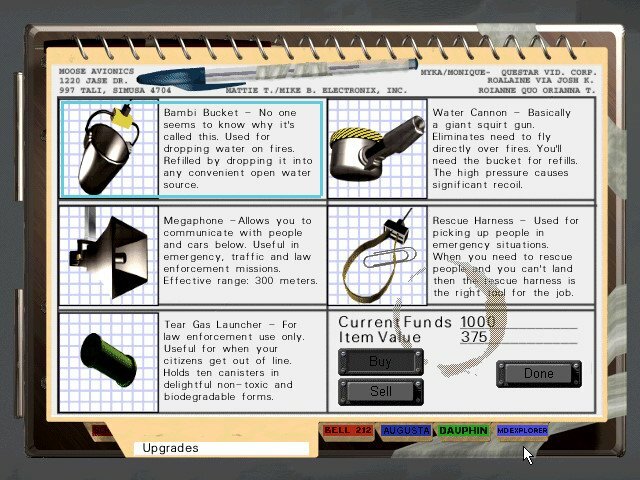 All of the action takes place in a dynamic real-time world where traffic gets gnarled, crooks are busy robbing the city blind, and countless other crises erupt just when you think you’ve got everything under control. 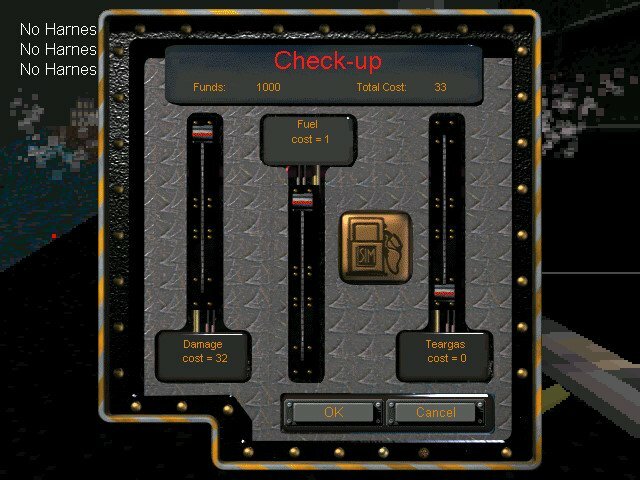 As you rake in the cash rewards, you can outfit your chopper with better equipment or just buy new ones. Although addictive to play, it becomes clear that the most misleading thing about this game is the Sim in SimCopter. 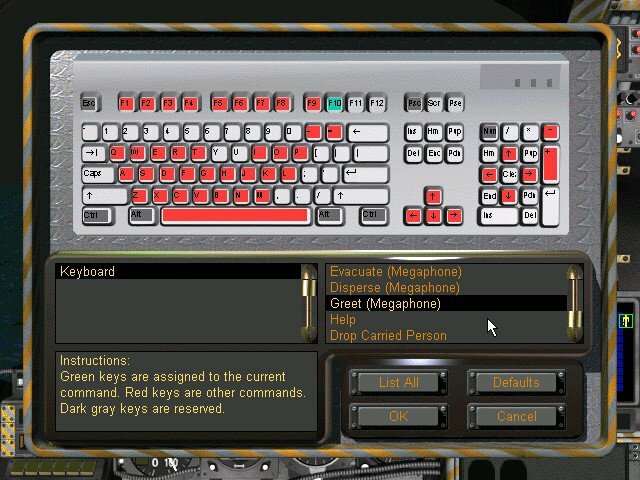 The flight controls are simplified to the extreme. 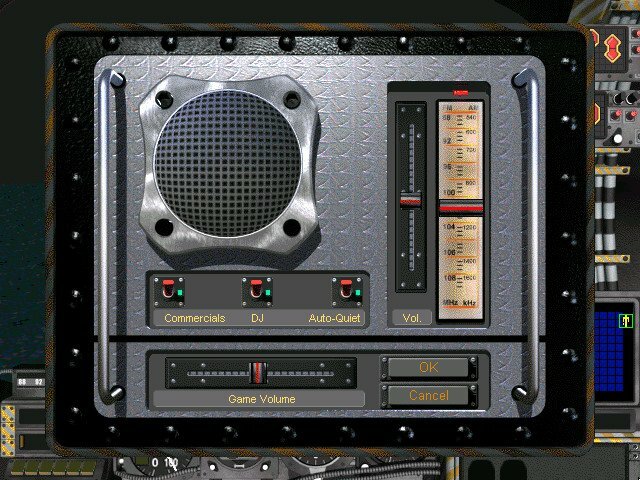 Players push buttons to control altitude, and steering is as simple as turning left or right with the joystick. 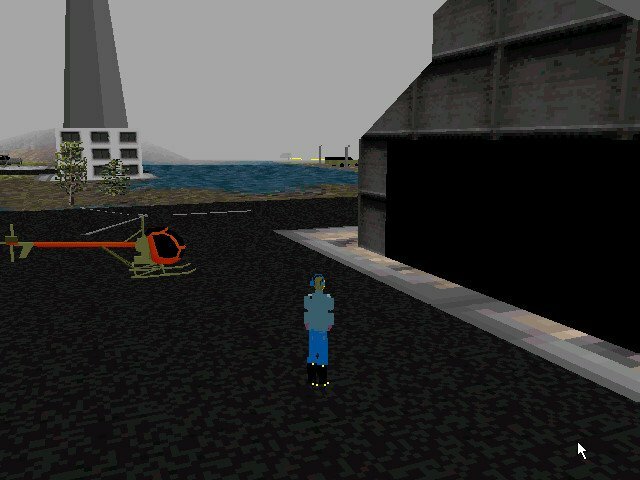 That simplicity does come in handy, though, as players must maneuver around buildings, over bridges, and near the water. 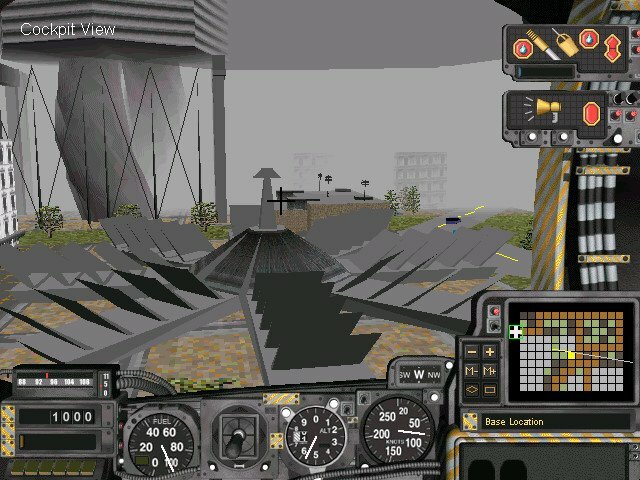 The arcade flying portion isn’t inherently bad, since nowhere in the manual does it pretend to be a genuine flight sim. But even if you do care to look past the dodgy 3D graphics and odd controls, the game is anything but stable. 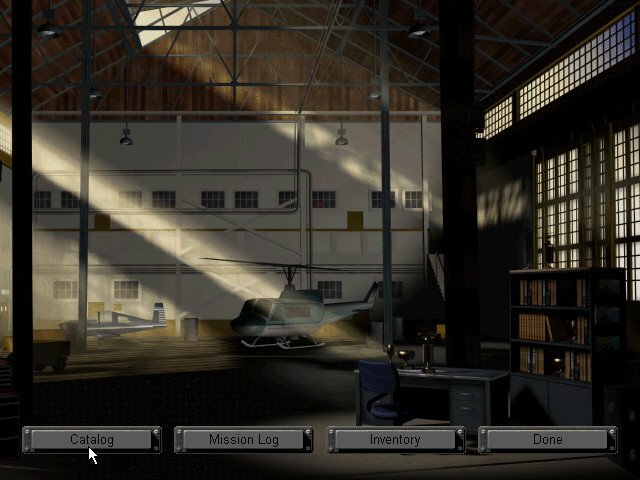 Crashes are frequent and hurt a lot if you forget to save, but still there’s plenty to like about the game when it runs as it should, and it deserves marks for originality even though it’s not a Maxis classic.